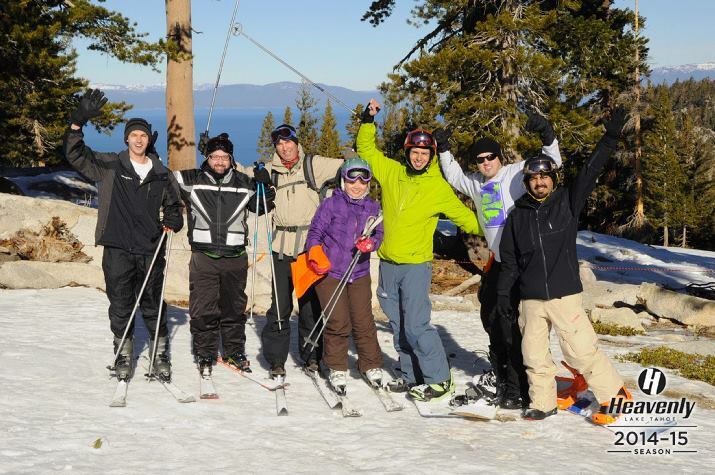 On the weekend of January 24-25, ASCE LA YMF and OC YMF civil engineers and friends shared a spacious cabin (3790 Needle Peak Rd) by the Heavenly Resort of South Lake Tahoe. Attendees included Christi Fu, Per Tvedt, Dana Wall, Ben Baker, David Muwanes, Fadi Patel, Marcus Juarez, and Andrew Joseph. The flights, check-in/check-out, and payment coordination was led by Christi Fu (LA YMF), Per Tvedt (OC YMF), and Jerusalem Verano (OC YMF). The San Francisco Section YMFs did not show up, and it was not clear whether they had been invited, although it would have been fun to do a joint event with them. Originally, that had been one of the reasons why the LA Section YMFs went to Tahoe instead of Mammoth. In any case, it was good to mix things up and visit different slopes this year. 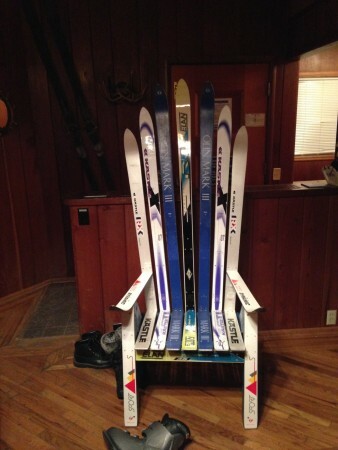 The cabin had a bed for everyone, a chair made of skis, and a bubbly hot tub. There was a gorgeous view of Lake Tahoe awaiting the group at the top of the ski lifts. The slopes on the way down were great, especially in the morning—powdery enough, deep enough, and not too crowded. The surface turned a little bit icy in the afternoon.The group stuck together on the slopes and had lunch together. After skiing, when the ski lifts were about to shut down, we joined the crowd at the “Unbuckle” after-party at Tamarack Lodge on the slopes. We ordered a lot of appetizers and enjoyed the music and go-go dancing angels. On Saturday night, everyone went out to eat at a Hard Rock Café restaurant in Nevada across the street from a Harrah’s casino. Using a coupon from the cabin, we received a special gift of mints in a Hard Rock Café die. When the weekend was over, most people flew back to Southern California from the SAC airport, except for Ben, who drove back to LA through Mountain View so that he could wish his sister a happy birthday.